Where did you get your for under $90? 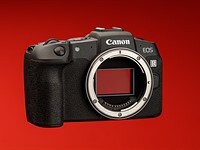 A bit related, but anyone know what is the lowest current price on the 40-150 II version? Not the II version It was cheap when I added it to several other items from B&H. Cheap is a good price. This was a while back. Unless you find it as part of a $99 bundle in a PEN kit and then you got to buy another camera, I think this is the lowest price currently. Appears to be in stock too. Whew, I remember reading this thread many months ago and immediately snapping one up from Staples for $109. That is for the version I, I was asking about the version II, which just looks nicer.